Soothe and hydrate your skin with SkinCeuticals Phyto Corrective Gel, a calming moisturizer specially formulated to relieve and comfort your skin. Ideal for sensitive or problem skin types, the oil-free solution contains a host of soothing botanical ingredients, including Hyaluronic Acid, Cucumber and Thyme, and utilizes Mulberry to help minimize the appearance of discoloration and promote a clarified and fresh-looking complexion. Suitable for even acne-prone skin, the calming gel will leave skin feel refreshed, hydrated and comfortable. Using the fingertips, apply 2-3 drops of this soothing gel to face, neck, and chest. Can be used on other areas of the body as needed. Aqua / Water / Eau, Glycerin, Propylene Glycol, Polysorbate 80, Phenoxyethanol, Sodium Benzoate, Sodium Hyaluronate, Hydroxyethylcellulose, Disodium Edta, Olea Europaea (Olive) Leaf Extract, Parfum / Fragrance, Benzophenone-4, Butylene Glycol, Citrus Grandis Extract / Grapefruit Fruit Extract, Cucumis Sativus Fruit Extract / Cucumber Fruit Extract, Benzyl Benzoate, Ci 19140 / Yellow 5,Thymus Vulgaris Flower/Leaf Extract - Thyme Flower/Leaf Extract, Eucalyptus Globulus Leaf Oil, Benzyl Alcohol, Alpha-Isomethyl Ionone, Ci 42090 / Blue 1, Linalool, Citronellol, Morus Alba Root Extract. good product! I'll continue to buy it . I purchased this item during a phase where my skin was extremely irritated and red. All moisturizers seemed to irritate my skin. After using this continuously for a few weeks now, I've noticed an overall improvement. It has helped even out my skin tone a bit. I have some discoloration around my chin and my skin has been evening out. Also, it has helped with my redness from day 1. The product is very gentle and calming, definitely a repurchase. But if you have dry skin I'd recommend using a moisturizer in conjunction with it. I apply this product twice a day to calm my skin and then moisturize with Alchemie moisturizer - amazing results! I went to a local spa for help with my out of control Rosacea. 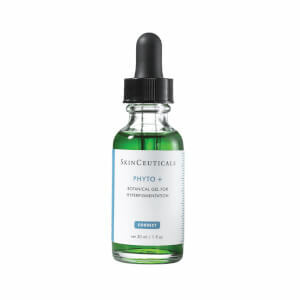 After a facial, Phyto Corrective Gel was one of two products recommended. The other was Emollience. After 24 hours and two applications of these two products, the swelling in my face was gone. Within a week my face was completely healed and back to normal. Now I get comments about how great the skin on my face looks. Before I tried to hide my face from view. I highly recommend this product, along with the Emollience for those who suffer from Rosacea. 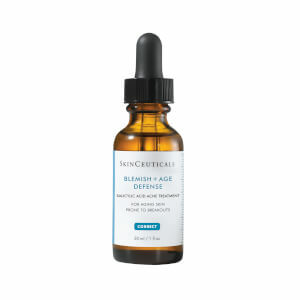 My dermatologist reccommended this product after a rosacea treatment. I have used it daily ever since. It calms redness and I am able to apply moisturizer and makeup within minutes. Has greatly improved my extremely sensitive skin. I have sensative combination skin with rosacea. My rosacea doctor recomended this phyto corrective gel a year ago. I have been using it ever since. 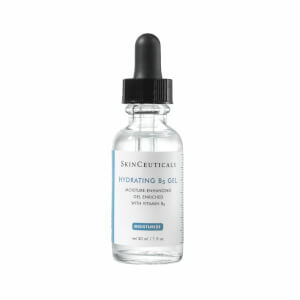 This product calms my skin without causing it to breakout. It's not oily and it doesn't dry my skin out. Some parts of my skin peel and this product gets rid of that right away. This product also lasts a long time because a little goes a long way. Used it for months, didn't do anything to fade my melasma. Definitely not for dark skin! This serum dramatically decreased redness in my very sensitive skin. It also helped with healing my breakouts.